That was an introduction I wrote for a high school English class assignment on writing my autobiography. It wasn't a presumptuous assignment, but a standard work of caution given to all seniors applying to college. It had been three years since my move from India to the American Midwest. I did not know it then, but I was living out every immigrant’s experience in a new place. Accents, language, culture, lifestyles - they were all different from what was originally home. I, however and fortunately, knew the language, had miraculously picked up the accent, had observed the culture through television and had experienced the lifestyle through stories. Yet, I did not fit in. I felt like the other. This did not feel like home. But, what is home anyway? To have some place to call home is itself a privilege. To know that you can go back to something solid, or are rooted in a singular‍‍‍, tangible place is a joy. For many, home is part of self-definition. This is why we take great care to build our home. We pick our cutlery, we find a couch, we look at random, overpriced table decor hoping that all of these external collectibles will be the perfect manifesto of our home. Home is what we use to describe what’s familiar and all that helps us feel rooted. And, so the term gains its significance. But what of the times when we move around, when we move away from home? Take a look at international travel for example. In a world as globalized as ours with far flung destinations increasingly accessible, traveling overseas is a choice many have made and afforded. According to the UN World Tourism Organization, international tourist arrivals increased from 25 million globally in 1950 to 1135 million in 2014, expecting to reach 1.8 billion by 2030. The more you travel, the more you see of the world, leading to more places that could be another home. Your definition of home gains fluidity when you travel and live how others live. 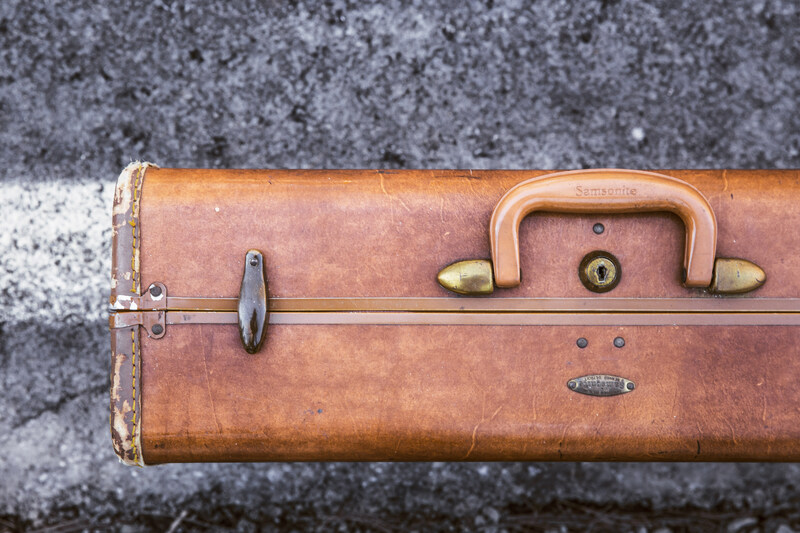 Outside of travel, migration too makes for formidable statistics in the understanding of home. As we continue to live in between wars and continue to seek a better life or a life closer to family/cultures, we will move. It is but natural to do so. That process of moving from one home to the other many times in the 21st century is called transnational migration. To unpack that, a transnational is one whose definition of their social reality moves beyond country borders, often combining and exchanging their identity for another. In 2015, the number of international migrants reached 244 million. These, are the documented ones, and the number now makes for the 41 percent increase of global migrants since 2000. The average age of these travelers is 39, with 15 percent of them younger than 20 years old. All my homes found a singular home only within me. I was 14 when I moved from India to US. What used to be an innocuous exchange and the quintessential small talk question - “Where are you from?- soon transformed into a painful and often frustrating conversation. Every conversation became a response to an assumption, rather, to satisfying an assumption. When I moved from India to US, I’d say I was from India. The high school counselor placed me in class for English as a Second Language. English is my first language. I was allowed to take Spanish though, a foreign language that was being taught in English, which was supposedly a language foreign to me. During my PSAT exam, a random student came to me and declared w‍‍‍ith more confidence than mine, “You’ll obviously ace the Math”. Oh, yes, India. I am from India. I like to think of us as conscious vagabonds, as citizens of a world that forcibly imposed borders on the definitions of home, and often, on the definitions of humanity. Definitions, ultimately, are a collection of chosen words agreed upon by others. Putting words together is like solving a puzzle - you have to get the definitions, connotations, syntax and punctuations placed in a way that communicates what you want to say and how you want to say it. In the home puzzle, if where I am from is home, then I am local to wherever I call home. A local, in essential terms, is one whose story- past and present- is native to a place. In this equation, I’d be a local to many places. I do not plan to stop traveling, or rather, wandering. My definition of home, by choice, will keep shifting. While Third Culture Kid, or TCK in its nimble abbreviation, somewhat puts to words this identity struggle, it also takes away the actual weight of it. By finding a box for this experience, we could be refuting the layers within those of us who’ve either been forced to or made the active choice to uproot and reroot. When I moved from that small suburb in Ohio to upstate NY, “Oh, I can hear the twang. Also, you say pop?” was the common response to when I claimed Ohio as home. That would inevitably lead to the next question, “But, where are you really from?”. India. Yes, India. From Ithaca, NY, I moved to Washington, DC. Now, I was from upstate NY, the Midwest and India. But, where was I really from? Well, homebase was in all three of them and I was really from all of there. After DC, I traveled to Turkey and eventually found home in Dubai, UAE. Where was I from, now? You see how this could get confusing? “She was tall. Really tall. Her glasses kept falling off the bridge of her nose, but she still walked with dignity. She was confident and looked as firm as the trunk of an oak tree. She smiled so often that it looked like she was in front of a camera all the time. She made sure that she said 'hi’ or at least gave a nod of acknowledgement to all those who passed her. As she walked through the senior hallway feeling powerful as ever, she caught sight of a small brown-skinned girl looking like she had just reached No Man’s Land. “Oh, it’s just a stupid freshman!” she thought. “Where is the library…is that what you asked? It’s straight down the hall, a couple floors down and to the left. My locker is right behind me. I am Archana. This place might not look like home to you now, but it will become one. You don’t have to let go of your last home for that to happen. That is home too. This place might be new and every face a stranger. This place is also possibility and every face a new story. "Welcome home,” I’d tell her.